Clearly I am not keeping up with my New Year’s resolutions. You may remember that one was to, and I quote, “blog more.” Whoops. I never was one for resolutions. You may remember that TLB got a two-pack of these in his stocking last year (it feels too soon to write that). 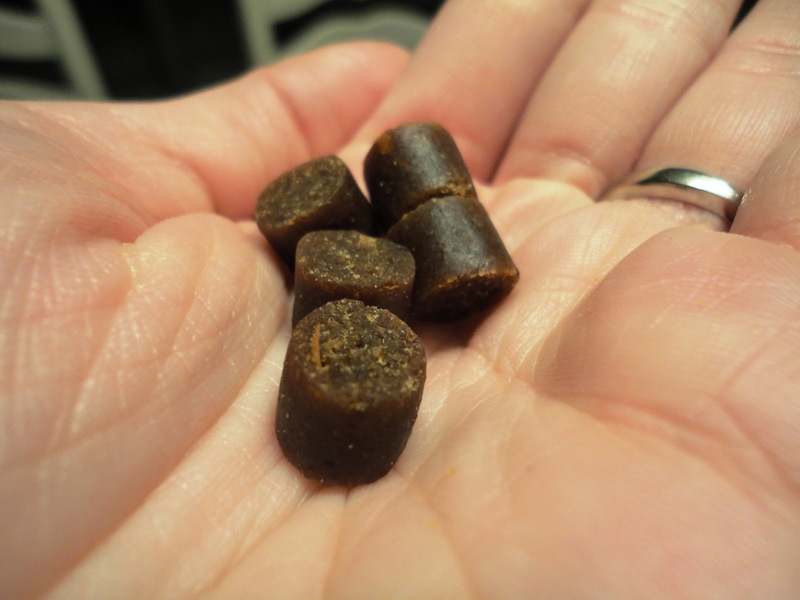 Mini Naturals come in salmon, chicken, and peanut butter. We’ve never tried the salmon, but it sounds delish. TLB’s two-pack came in the peanut butter and chicken varieties. Great packaging, Zukes! 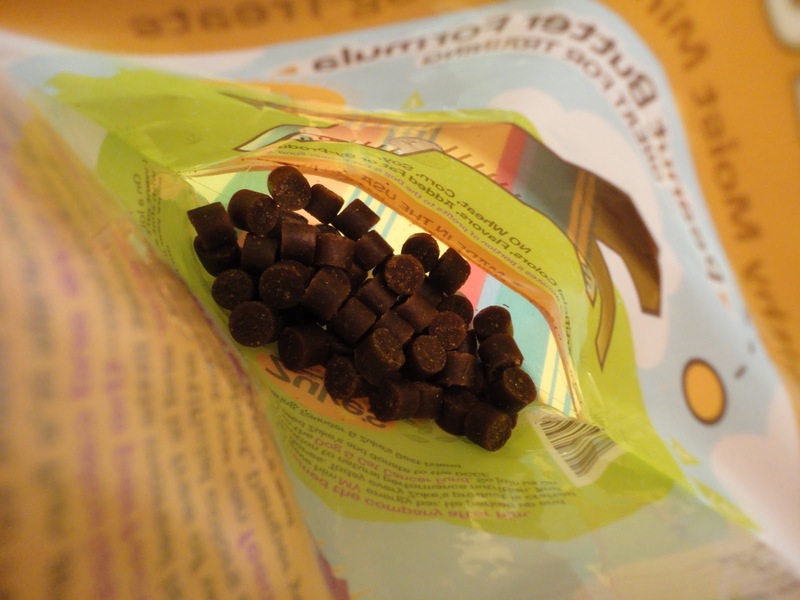 Why not call attention to all of the wonderful things about Mini Naturals right on the front of the packaging? No corn, wheat, or soy. No artificial colors or flavors. No added fat. No by-products! 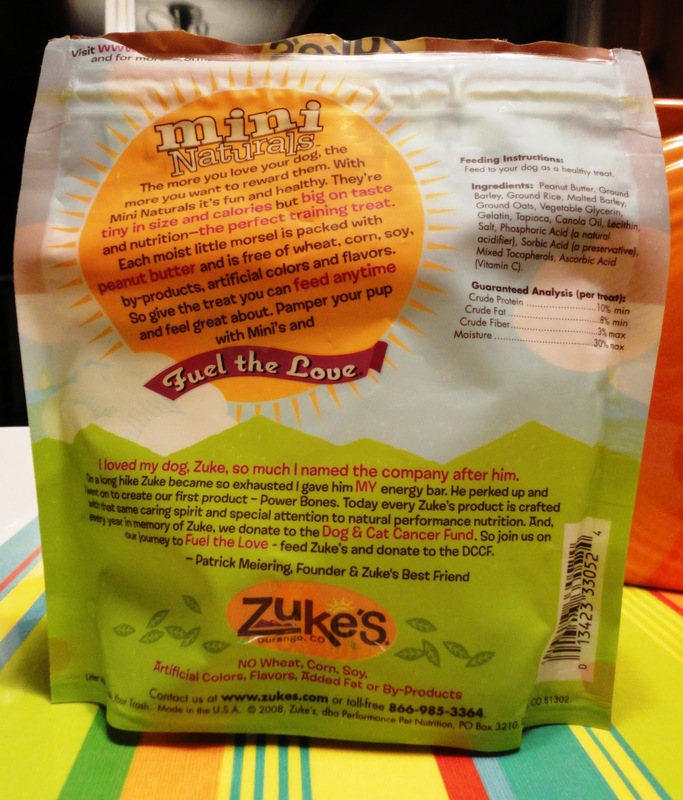 AND a portion of Zuke’s proceeds goes to the Dog and Cat Cancer Fund?! Sigh. A treat after my own heart. Too bad I don’t eat dog treats. Ok, at least not on weekdays. Good thing it was a two-pack! We’re runnin’ low, boss! Mini Naturals are teeny tiny. 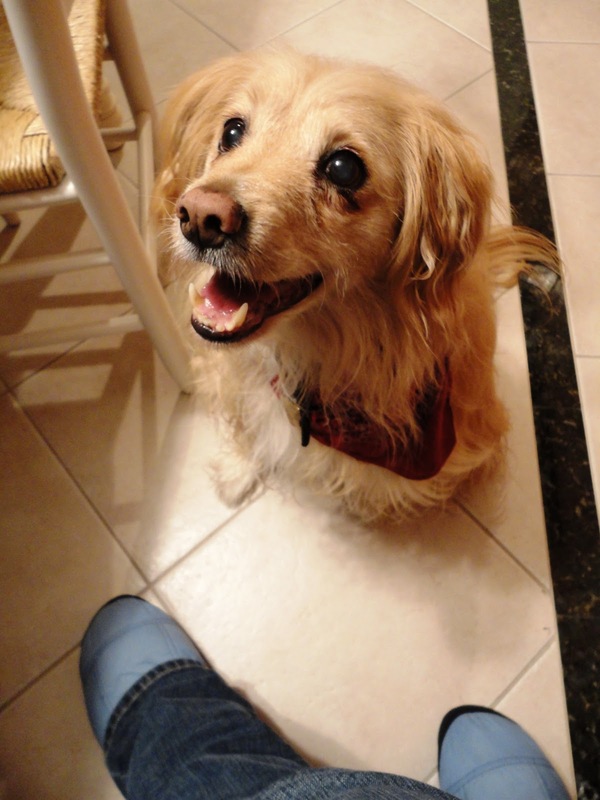 That equals lots in the bag and notso lotso in the doggie waistline (only two calories per nibble!). 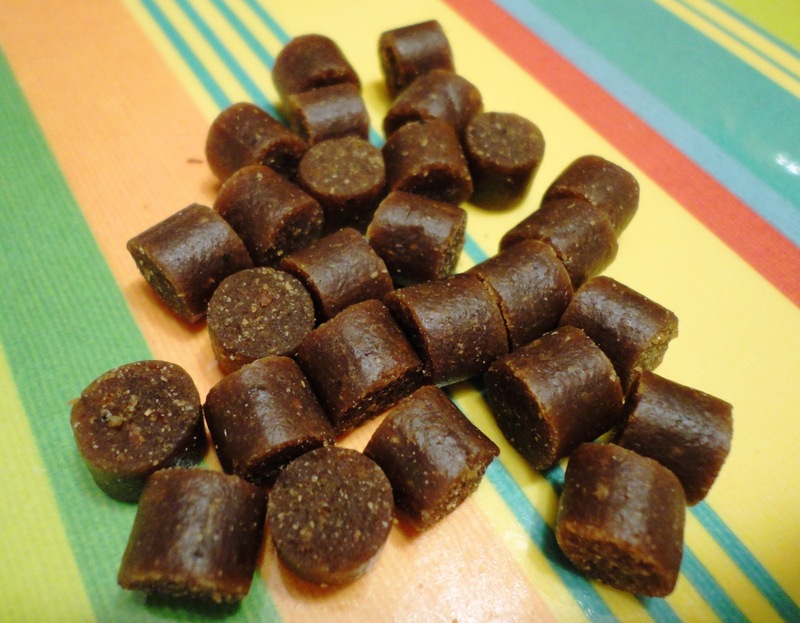 Mini Naturals are moist and chewy, so they’re great for dogs that have trouble with hard, crunchy treats. This also means, however, that you keep them moist you have to seal the bag every time. Trust me. We’ve had some stale Zukies in our day. Kasey likes Mini Naturals almost as much as Teton. Down booties! Let me tell you, these things are 1.5 millions times better than any ordinary slipper. 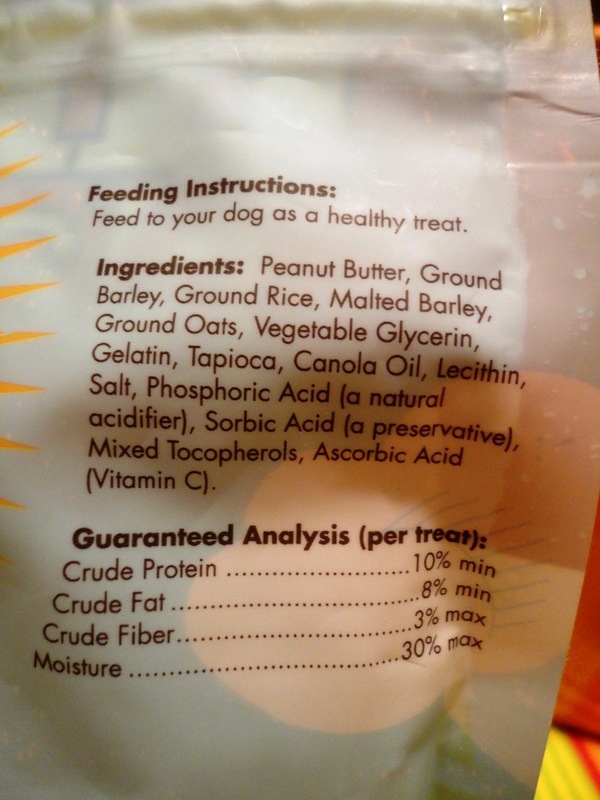 By the way, here’s the ingredient list. For the Zuke’s, not the down booties. Pretty good. I’ve seen better, but no huge complaints. 1. Price – $5.49 for a 6 oz bag, but I’ve seen anywhere from $4 – $7. Not too shabby for how many nibbles you get! 2. Quality – Made in the USA without by-products, added fat, and artificial colors orflavors. 3. Benefits – Low in calories. Small in size. 4. Ingredients/Features – Depends on what variety you get (salmon, peanut butter, or chicken) but for the most part the ingredient list is pretty good. The peanut butter version boasts a nice list of ingredients like barley, oats, and rice. 5. T-Factor – TLB loves ’em! He gets a few a night when we’re working on tricks. I think the fact that they’re moist makes them smellier and tastier. 6. Uniqueness/Fun – I think the fact that this treat is small, low in calories, and moist makes it fairly unique in the treat market. 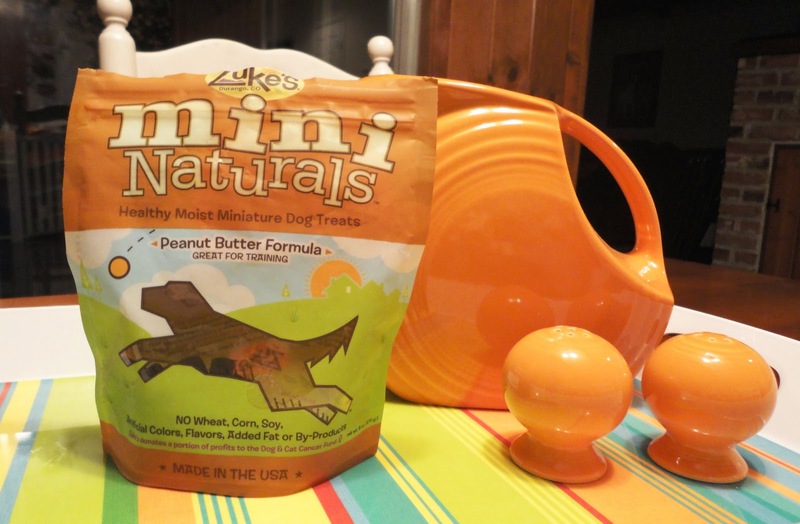 We give Zuke’s Mini Naturals an eight out of 10. I’m off to bake some salted fudge brownies. Yes, please. 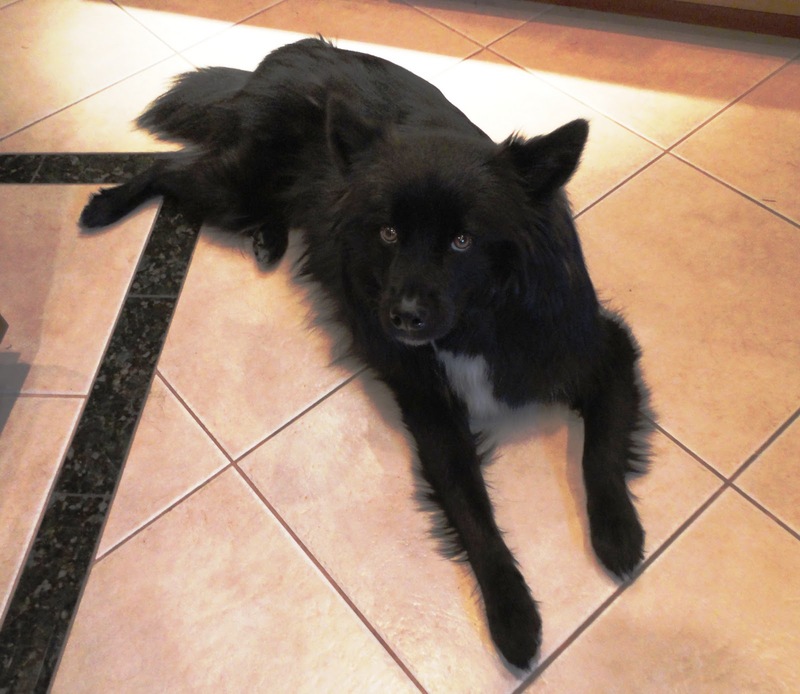 Posted on February 7, 2011 May 14, 2011 by Shannon	This entry was posted in This 'N' That. Bookmark the permalink.